A call for evidence for Keith Williams’ rail review was launched on December 6. The review is now seeking views from stakeholders across the UK. This will be needed, the government says, to inform a ‘root and branch’ review that will transform the rail industry. Williams wants to hear from passenger representatives, businesses, leading thinkers and investors as well as local and devolved bodies and governments. 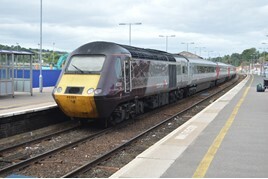 Williams said: “Creating a railway for the 21st Century passenger is at the core of this review. We’re launching a call for evidence and want to hear from passengers, the industry, leading thinkers and investors - and also the cities, towns and regions who depend on their rail connections. For the FULL story, read RAIL 868, published on December 19, and available digitally on Android, iPad and Kindle from December 15. An EXCLUSIVE interview with Keith Williams will appear in RAIL 869, published on January 2, available digitally on Android, iPad and Kindle from December 29.